It&apos;s Wednesday night, 8:25, my evening class has just let out and I’m scrambling my friend Laura out of the classroom…okay, we have to pick up Brooke (another friend) from her class, which only gives us half an hour to drive into Manhattan, navigate through the streets, not to mention the cabbies and find parking, but I’m driving so it shouldn’t be a problem. We meet up with Brooke just as her class Is letting out, Laura’s standing next to me flushed and panting because I made her run down five flights of stairs…hey, every minute counts! We make a mad dash for the car, and away we go. It must have been fate because for the first time ever, there was no traffic on the Long Island Expressway, the tolls were a breeze (God Bless the inventor of the EZPass), the city streets were congested (surprise, surprise) but thanks to my razor-sharp reflexes combined with a sheer incomprehension of fear, we made it to Lafayette in record time (this is were I profusely thank my friends for refraining from screaming in the car). To top it all off, we found parking right across the street from our destination, Joe’s Pub. The whole trip took 25 minutes–relatively the same amount of time it takes a seasoned NYC driver to circle the block for an open spot. This was going to be a good night. We buy our tickets and walk into Joe’s Pub, which is a beautiful place to catch a show–one of NY’s most prestigious venues for up and coming artists. The place is packed but we do manage to three stools near the sound engineer’s booth. I glance about the crowd and notice how eclectic the audience is, the East-Village is represented, uptowners, young, old, Iranians, non-Iranians. It was evident that Haale’s music, which elegantly fuses both Iranian and American lyrics and instrumentals, had finally entered the mainstream. I always knew that she would have such broad appeal; it was just a matter of time. As I settle back in my seat and get comfortable with my drink the lights of the stage go on, and with a brief introduction, Haale and her band come out. Who would think that this petite woman with long curly hair would be so mesmerizing–but she is. Her beauty alone is entrancing, but there’s more, so much more. She has this voice, so strong and powerful that she really doesn’t need a microphone, yet at the same time so feminine…so haunting…so alluring. Her mastery of the guitar and setar allude to a lifetime of training, however, she picked up the guitar in ’96 (it was a birthday present from a friend) and the setar two years ago. The lyrics and music, all of which she writes herself, are simply magnetic. In the English songs, you’re swept into the surreal world that thrives in her head. A world of wide-eyed seamstresses and marzipan eyes. The words pull you into a bizarre world so unlike the one you live in, yet all of your senses are telling you that you’re comfortable and that you want to stay…and sometimes, you may never want to leave. This is a testament to Haale’s innate talent of and formal training in poetry (she received a MFA in creative writing/poetry last year). The music that accompanies the lyrics also contributes to her unique style. The first chord immediately grabs you and the rest of the arrangement continues its hold get tighter and tighter until it finally releases at the end…only to grasp again with the next song. 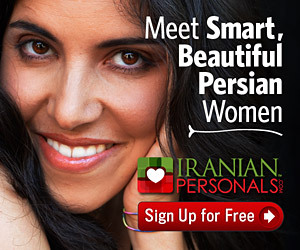 If in English, she can transport you to a parallel universe, in Farsi, she’ll keep you suspended in time. A mix of the ancient and the new, she takes the eloquence of our beloved Mollanah and makes him rock. The tribal beat of the drums and the twang of the setar and the undulation of her voice commingle to put you into a passionate trance that would be the envy of Sufi mystics. The first time I heard her perform her unique version of baz havayeh vatanam, I was so enraptured that I didn’t notice the tears streaming down my face. Haale is the personification of Khayyam’s wine; she is the point were intoxication turns into ecstasy. Last year she was asked to be the editor for the Persian poetry section in Ratapallax, a very cool and highly respected poetry journal. The journal also included a CD with three of Haale’s Persian songs (Se, available on her website). Meanwhile, Global Rhythym magazine recently named her “one of 15 up and coming artists sure to make big waves in the future”. Of course I could go on and on about her, but at some point I would need to stop, and this is as good a place as any. If you want to know more information about Haale and her band, including show date and CD purchases, just log onto haale.com. She and the band play frequently in New York. And if you’re lucky enough to be in Los Angeles on May 17th, she’ll be performing at the Los Angeles County Museum of Art (and at the Temple Bar at 9pm that night). The LACMA show is in conjunction with the Genghis Khan exhibit. Along with Haale, the show will also include various other female Iranian-American artists, including: a novelist, a dancer/ choreographer, a painter and a filmmaker. So, if you can, please show your support for these fantastic ladies and the Iranian art community by attending this event. In return, I guarantee that Haale will give you an unforgettable performance. Nader Habibi is the Henry J. Leir Professor of Practice in the Economics of the Middle East at Brandeis University’s Crown Center for Middle East Studies.